Cambridge, UK – 27 June 2017 – Mission Therapeutics, a drug discovery and development company focused on selectively targeting deubiquitylating enzymes (DUBs) to treat serious diseases including mitochondrial diseases, neurodegeneration, inflammation and cancer, today announced the formation of its inaugural Scientific Advisory Board (SAB). Mission has built a leadership position and strength in the DUB field, and the SAB will provide strategic advice to the Company as it shapes and progresses its therapeutic programs and pipeline of first-in-class DUB inhibitors. “We have attracted a prestigious group of experts to our Scientific Advisory Board, where they bring a wealth of experience across, cell signaling, posttranslational modifications, mitochondrial diseases, neurodegeneration and oncology. Prof. Jackson’s research and discoveries in protein ubiquitylation and deubiquitylation led to the founding of Mission to explore new therapeutic opportunities across various disease areas. He is Professor of Biology at the University of Cambridge and Head of Cancer Research UK Laboratories at the Gurdon Institute, Cambridge. As a pioneer in the field of DNA repair and DNA-damage signalling, Prof. Jackson’s research has shaped our understanding of cellular responses to DNA damage and of how defects in these responses contribute to disease. Prof Jackson founded KuDOS Pharma that was acquired by AstraZeneca in 2006. Olaparib, which was developed by KuDOS, was approved for advanced BRCA+ ovarian cancer in USA and Europe in 2014. For 45 years, Prof. Cohen has studied protein phosphorylation in cell regulation and human disease, and made various major contributions to the field. He is now working to unravel signaling networks within the innate immune system involving protein ubiquitylation and phosphorylation during bacterial and viral infections. Prof Cohen is also involved in commercial activities based in Dundee and is frequently cited as the magnet for academics and biotechnology companies and economic regeneration, as 15% of the Dundee economy is from biotech and its employees. Prof. Chinnery began research studying links between mitochondrial DNA and human disease, and is interested in mechanisms of mitochondrial inheritance. His research has involved identifying nuclear and mitochondrial gene defects causing mitochondrial disorders, dissecting downstream disease mechanisms and studying molecular and cellular bases of mitochondrial DNA inheritance – most recently through the UK 100,000 Genomes Project. His active clinical translational research studies the natural history of mitochondrial diseases linked to development of new treatments. Prof. Chinnery has an interest in mitochondrial mechanisms in common diseases, particularly neurodegenerative disorders. Over the last fifteen years Prof. Corn has bridged academia and industry, working in therapeutic areas that include infectious disease, neurobiology, and oncology. He has an interdisciplinary approach to determine cellular mechanisms underlying human disease, with a particular interest in genome editing, DNA repair, and ubiquitin signaling. Prof. Corn is interested in new models for collaboration between academia and industry, mentoring at the interface of these two areas, and promoting entrepreneurship. His research aims to “bring about the end of genetic disease through the development and application of next-generation genome editing technologies.” Prof. Corn is dedicated to improving human health through understanding of disease mechanisms. Prof. Sixma’s research group studies ubiquitin conjugation/deconjugation and DNA repair using a combination of structural methods and biochemistry to understand basic cellular processes. Her aim is to understand structural aspects of the errors that occur in cell biology that lead to cancer development. A major aspect of Prof. Sixma’s work uses protein crystallography, biochemical and biophysical techniques to understand the catalytic activities of deubiquitylating enzymes (DUBs) and how they are regulated by protein partners, cofactors and other domains outside the DUB catalytic subunit. She also collaborates with cell biologists to improve understanding of carcinogenesis as well as the molecular mechanisms that could provide a basis for novel and/or improved drug design. Mission Therapeutics is discovering and developing first-in-class therapeutics that inhibit disease-associated deubiquitylating enzymes (DUBs) involved in serious diseases including mitochondrial diseases, neurodegeneration, inflammation and cancer. Mission has built a proprietary world-leading DUB platform that is generating a rich pipeline of highly potent and specific small molecule drug candidates. These candidates have excellent clinical and commercial potential. Using patient selection strategies, the Company is now progressing several programs towards clinical development. The Company has strong collaborations with key academic and research centers including Cancer Research UK Laboratories & Gurdon Institute at University of Cambridge, Oxford Parkinson’s Disease Centre at University of Oxford, and the Wellcome Trust Mitochondrial Research Centre at Newcastle University. In February 2016, Mission completed an $86m financing that was led by Touchstone Innovations and Woodford Patient Capital Trust, and included participation from existing investors Sofinnova Partners, Roche Venture Fund, Pfizer Venture Investments and SR One. Mission Therapeutics was founded in 2011 and its leadership team comprises international, commercial and scientific experience. The Company is based at the Babraham Research Campus, Cambridge, UK. Find out more about Mission Therapeutics at www.missiontherapeutics.com or follow @MISSIONTherapeu. DUBs comprise a group of around 100 proteins that play important roles in regulating ubiquitylation. This process is where ubiquitin – a small regulatory protein so called because it is present in all complex organisms and virtually every all cells in the body – controls protein homeostasis, protein activity, intracellular location, and sub-cellular turnover or degradation. Cambridge, UK – 9 June 2017 – Mission Therapeutics, a drug discovery and development company focused on selectively targeting deubiquitylating enzymes (DUBs) to treat cancer, neurodegenerative and other diseases, has been announced as a finalist in two categories for the Biotech and Money 2017 Awards. The Biotech and Money 2017 Awards celebrate funding, finance and investment successes over the past 12 months across the British Life Sciences sector. Mission has been nominated for UK Growth Life Sciences Company of the Year and UK Life Science Private CEO of the Year. The first nomination is for Mission’s novel approach to treating a range of clinical indications by targeting human DUBs and overcoming specificity and selectivity barriers, progressing the development of promising therapies. The second nomination is for CEO Anker Lundemose, who has played a pivotal role in in Mission’s transition from discovery to clinical development, leveraging over two and a half decades of biopharma expertise. At last year’s Awards, Mission won the ‘One to Watch’ Private UK Life Science Company of the Year Award. Winners of each category are determined on the basis of online voting (which can be done here http://bit.ly/2r8Zne2) and a live voting session during the Awards dinner, which will be held on 14 September in London. Mission Therapeutics is an early-stage drug development company targeting the ubiquitin pathway for the treatment of neurodegenerative disease, inflammation, cancer and other diseases of unmet need. The Company has built a leading platform for the discovery and development of first-in-class, small-molecule drugs that selectively target deubiquitylating enzymes (DUBs) – an emerging drug class that is attracting significant commercial interest in the area of protein homeostasis. 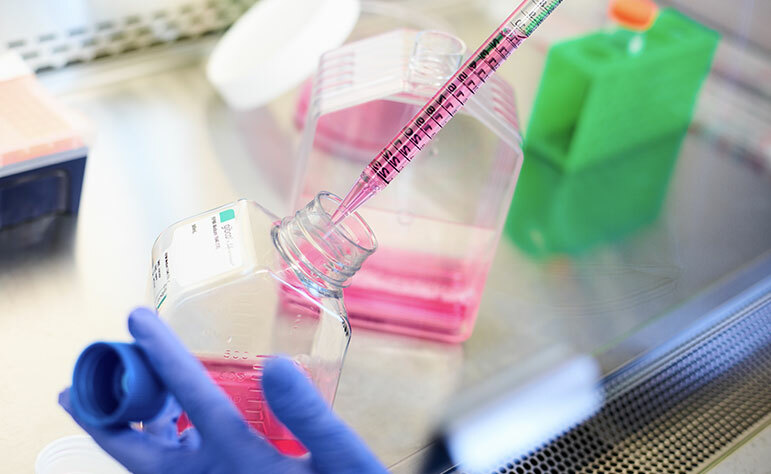 Mission has strong links with key academic and research centers, including Prof. Jackson’s Cancer Research UK Laboratories at the University of Cambridge Gurdon Institute, and leading UK centres in neurodegenerative diseases. The Company is managed by a team with broad international, commercial and clinical-science experience. In February 2016, the Company completed an $86m financing that was led by Imperial Innovations and Woodford Patient Capital Trust and included participation from existing investors Sofinnova Partners, Roche Venture Fund, Pfizer Venture Investments and SR One. Mission Therapeutics was founded in 2011 and is based at the Babraham Research Campus, Cambridge, UK. Biotech and Money Assembly and Awards is a 250 person Gala Dinner celebrating the UK’s funding, finance and investment successes in the sector over the last 12 months. Leading lights and emerging stars, C-suite executives, impactful investors and powerful KOLs in the sector will be celebrating at one of London’s finest banqueting halls; Merchant Taylors Hall on 14th September 2017, from 6pm-11pm. CAMBRIDGE, UK – 11 April 2017 – On World Parkinson’s day, Mission Therapeutics, a drug discovery and development company focused on selectively targeting deubiquitylating enzymes (DUBs) to treat neurodegenerative diseases, cancer and other diseases with high unmet medical need, announced that it has been awarded a grant from the Michael J. Fox Foundation for Parkinson’s Research (MJFF). This research grant will support the testing of Mission Therapeutics’ potent and selective USP30-targeted inhibitors in translationally relevant stem cell-derived Parkinson’s disease models developed by Professor Richard Wade-Martins and his research group at the University of Oxford. USP30, a mitochondrial associated DUB, has been implicated in the control of mitophagy – a process where dysfunctional mitochondria are selectively cleared from the cell. Failure of mitochondrial quality control may lead to degeneration of the highly active substantia nigra neurons in the brain, a pathological mechanism which results in Parkinson’s disease. The inhibition of USP30 is being studied by Mission Therapeutics to see if this promotes mitophagy and thus improves cellular resilience in this and other neurodegenerative diseases. The objective of the research collaboration with Professor Richard Wade-Martins is to test Mission’s potent and selective USP30 inhibitors in a range of disease models – induced Pluripotent Stem Cells (iPSC)-derived from patients with sporadic and familial Parkinson’s disease. Parkinson’s disease is a chronic, degenerative neurological disorder that affects one in 100 people over age 60. There is no objective test, or biomarker, for Parkinson’s disease, so the rate of misdiagnosis can be relatively high. Estimates of the number of people living with the disease therefore vary, but recent research indicates that at least one million people in the United States, and more than five million worldwide, have Parkinson’s disease. Mission Therapeutics, an early-stage drug development company targeting the ubiquitin pathway for the treatment of cancer, neurodegenerative, and other diseases of unmet need. The Company has built a leading platform for the discovery and development of first-in-class, small-molecule drugs that selectively target deubiquitylating enzymes (DUBs) – an emerging drug class that is attracting significant commercial interest in the area of protein homeostasis. 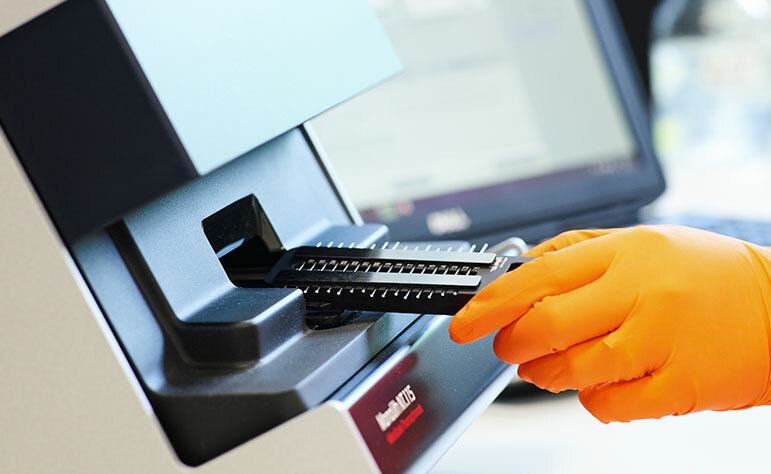 Mission has strong links with key academic and research centers, including Cancer Research UK Laboratories and the University of Cambridge’s Jackson Laboratories at the Gurdon Institute, and a leadership team that has broad international, commercial and scientific experience. As the world’s largest nonprofit funder of Parkinson’s research, the Michael J. Fox Foundation is dedicated to accelerating a cure for Parkinson’s disease and improved therapies for those living with the condition today. The Foundation pursues its goals through an aggressively funded, highly targeted research program coupled with active global engagement of scientists, Parkinson’s patients, business leaders, clinical trial participants, donors and volunteers. CAMBRIDGE, UK – 20 March 2017 – Mission Therapeutics, a drug discovery and development company focused on selectively targeting deubiquitylating enzymes (DUBs) to treat cancer, neurodegenerative and other diseases, announced the appointment of Dr Anne Phelan as Senior Vice President, Head of Discovery Research, effective 20 March 2017. Dr Phelan has spent over 20 years in the pharmaceutical industry and brings with her a wealth of drug discovery experience across a number of therapy areas as well as operational knowledge. She joins Mission from BenevolentAI (formerly Stratified Medical), where she served as VP, Drug Discovery. Previously, she held a number of senior positions within Pfizer including COO and Head of Pharmacology at Pfizer Neusentis in Cambridge UK. Dr Phelan obtained her undergraduate and doctoral degrees in Genetics from the University of Liverpool, and carried out her post-doctoral training at the MRC Institute of Virology in Glasgow. In February 2016, the Company completed an $86m financing that was led by Imperial Innovations and Woodford Patient Capital Trust and included participation from existing investors Sofinnova Partners, Roche Venture Fund, Pfizer Venture Investments and SR One. Mission Therapeutics was founded in 2011 and is based at the Babraham Research Campus, Cambridge, UK. CAMBRIDGE, UK – 5 December 2016 – Mission Therapeutics, a drug discovery and development company focused on selectively targeting deubiquitylating enzymes (DUBs) to treat cancer, neurodegenerative and other diseases, announces that Dr Colin Goddard has been appointed as non-executive Chairman, effective January 1st 2017. Dr Colin Goddard joined the board of Mission Therapeutics as a non-executive Director in July 2015. Michael Moore, Mission’s Founder Chairman, will continue on the board and transition to the role of Deputy Chairman. Prior to joining Mission Therapeutics, Dr Goddard was Chief Executive Officer of OSI Pharmaceuticals. He joined the company as a research scientist in 1989 and led the transformation from a technology platform services company into a profitable fully integrated biopharmaceutical organisation, becoming CEO in 1998. He was pivotal in the registration and launch of OSI’s targeted therapeutic product, Tarceva (erlotinib) and also directed the Company’s financing, corporate development and acquisition strategies, completing several major acquisitions and divestitures and raising over $1.5bn in capital. OSI was acquired by Astellas Pharma Inc. in June 2010 for $4bn. Dr Goddard obtained his PhD in cancer pharmacology from the University of Aston in Birmingham, UK and worked at the National Cancer Institute, Bethesda, MD, before joining OSI. He currently serves as Chairman & CEO of US based Biotech company, BlinkBio, Inc and as a Director on the boards of Endocyte Inc (NASDAQ: ECYT). He was formerly a Director at Human Genome Sciences Inc.
Mission Therapeutics, an early-stage drug development company targeting the ubiquitin pathway for the treatment of cancer, neurodegenerative, and other diseases of unmet need. The Company has built a leading platform for the discovery and development of first-in-class, small-molecule drugs that selectively target deubiquitylating enzymes (DUBs) – an emerging drug class that is attracting significant commercial interest in the area of protein homeostasis. Mission has strong links with key academic and research centers, including Cancer Research UK Laboratories and the University of Cambridge’s Jackson Laboratories at the Gurdon Institute, and a leadership team that has broad international, commercial and scientific experience. In February 2016, the Company completed an $86m financing that was led by Imperial Innovations and Woodford Patient Capital Trust and included participation from existing investors Sofinnova Partners, Roche Venture Fund, Pfizer Venture Investments and SR One. Mission Therapeutics was founded in 2011 and is based at the Babraham Research Campus, Cambridge, UK. The Drug Discovery meeting will feature over 50 world-class speakers in six main session tracks, each highlighting the latest scientific breakthroughs and new approaches that are driving this success. This conference will explore innovative technologies and approaches that can be used to overcome drug development challenges, and bring together industry leaders who will discuss future opportunities for novel therapeutic discovery. The Lancet Neurology Conference aims to disseminate cutting-edge findings on preclinical neurodegenerative diseases including Alzheimer’s disease, Parkinson’s disease, amyotrophic lateral sclerosis, and Huntington’s disease. The event will provide a unique platform for specialists to come together across disciplines for an authoritative discussion of the methodological, regulatory, and ethical considerations of research in people at asymptomatic states of neurodegenerative disease. The Parkinson’s Disease Therapeutics Conference is The Michael J. Fox Foundation’s annual scientific conference focused exclusively on Parkinson’s disease drug development. The event brings together 300 research and business development professionals from both academia and industry and showcases the most exciting and innovative research. Novel advances in basic and translational research from both academic and industry labs are highlighted through speaker presentations and a poster session. The event is a platform for field leaders to share new and unpublished results and for fostering new relationships and collaborations. SR One is the corporate venture capital arm of GlaxoSmithKline. The firm invests globally in emerging life science companies that are pursuing innovative science which will significantly impact medical care. Celebrating its 30th anniversary in 2015, SR One has invested $1B in more than 170 companies, and its current portfolio includes 40 private and public companies. BIO-Europe is Europe’s largest partnering conference serving the global biotechnology industry. The conference attracts leading dealmakers from biotech, pharma and finance along with exciting emerging companies. BIO-Europe is regarded as a “must attend” event for the biotech industry. The two-day event will include company presentations, thematic panel discussions, 1×1 investor meetings and, as a continuing unique feature, business-to-business meetings. This global gathering of leading healthcare executives and institutional, private equity and venture capital investors will address near- and long-term investment opportunities and discuss the mechanisms driving global healthcare. Biotech and Money are hosting the Biotech and Money Inv€$tival Showcase, in exclusive partnership with Jefferies LLC. The event showcases the latest investable public and private life science opportunities. Companies ranging from the latest start-ups through to growing public companies, will present to an audience of global investors and pharma. The conference enables investors to uncover and identify investable opportunities with 1-2-1 partnering throughout the day. 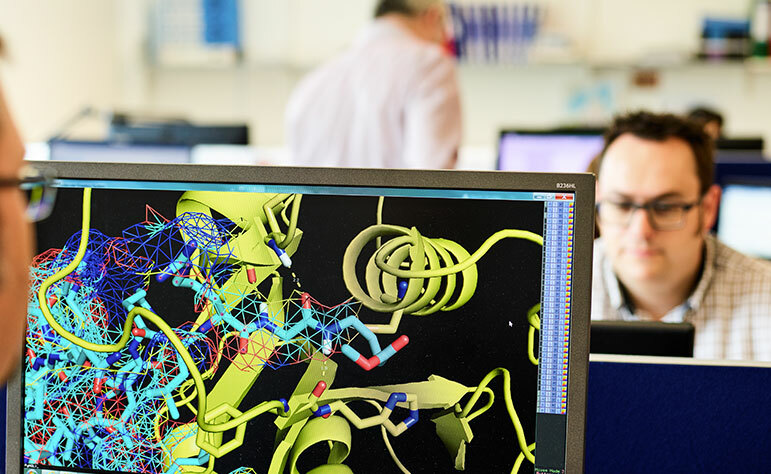 Mission Therapeutics was founded in 2011 to commercialise expert research into the ubiquitin pathway for the treatment of cancers and non-malignant disease. It has built a world-leading platform for the discovery and development of first-in-class, small molecule drugs that selectively target deubiquitylating enzymes (DUBs) – an emerging, and hitherto intractable, drug class that is attracting significant commercial interest as the potential ‘Next Kinase Area’. DUBs are involved in multiple cellular processes, including DNA damage response and cell proliferation, and the inhibition of these enzymes has considerable potential for the generation of novel drugs for treating cancer and other unmet medical needs, including neurodegenerative disease, muscle wasting and infectious disease. Despite significant efforts within the pharmaceutical sector, there is a lack of DUB inhibitors in clinical development. 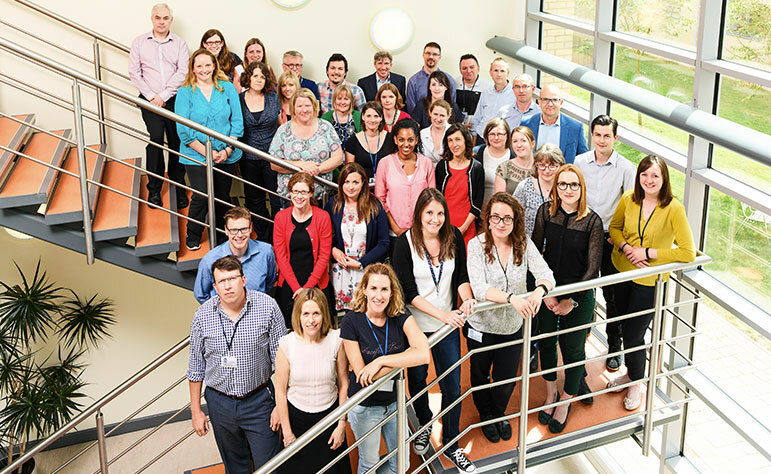 Mission’s leadership team has a wealth of international, commercial and scientific experience and the company has strong links with key academic and research centers including Cancer Research UK laboratories and the Gurdon Institute, University of Cambridge. Professor Steve Jackson at Cancer Research UK laboratories and the Gurdon Institute, University of Cambridge is the scientific founder of Mission and is the Chief Scientific Officer of the Company. Mission Therapeutics has to date received £87 million in venture capital from a blue chip syndicate comprising institutional and corporate investors and was awarded a £1.9 million grant from Innovate UK in September 2015. In February 2016, the Company raised £60 million in a Series C financing led by Imperial Innovations and new investor Woodford Patient Capital Trust. It included follow-on investment from existing shareholders Sofinnova Partners, SR One, Roche Venture Fund and Pfizer Venture Investments. Mission is based at the Babraham Research Campus, south of Cambridge. CAMBRIDGE, UK – 6 October 2016 – Mission Therapeutics, a drug discovery and development company focused on selectively targeting deubiquitylating enzymes to treat cancer, neurodegenerative and other diseases, is pleased to announce that its Chief Medical Officer, Dr Michael Koslowski has been listed as one of the 20 top translational researchers of 2015 in Nature Biotechnology. Based on the number of patents granted, the annual ranking of faculty is published in the bioentrepreneur section of the publication. Michael Koslowski was granted 10 patents in 2015. His most cited patents titles include monoclonal antibodies for the treatment of cancer and the identification of tumour-associated antigens for diagnosis and therapy. CAMBRIDGE, UK – 7 September 2016 – Mission Therapeutics, a drug discovery and development company focused on selectively targeting deubiquitylating enzymes to treat cancer, neurodegenerative and other diseases, is pleased to announce it has won the “One to Watch Private UK Life Science Company of the Year” Award at the Biotech & Money 2016 Awards Dinner. Held in London at the historical Gibson Hall, the inaugural Biotech & Money 2016 Awards Dinner was attended by over 250 C-Suite executives, investors, key stakeholders and KOLs in the sector. ASCO is one of the key global conferences in the Oncology space, bringing together 35,000 oncology professionals from around the world. The event has both educational and scientific sessions to address new therapies, treatment modalities, research and ongoing controversies in the field. Over 3,000 abstracts are submitted internationally from over 80 countries. The inaugural conference brings together leading experts in the field of quality control in cells, with a focus on ubiquitin and autophagy and will feature over 40 renowned speakers at the event. The EACR is one of Europe’s largest dedicated conference on basic and translational research. This year’s theme is: ‘From Basic Research to Precision Medicine’ and will feature world class speakers from around the world covering the most innovative research topics in the fields of diagnostic tools and cancer treatment. For further events, please visit the MISSION Therapeutics website. The conference will bring together world leaders in the field of translational mitochondrial medicine in an interactive program designed to engage and inspire a new generation of mitochondrial researchers, who will harness this new technology to prevent and treat these devastating diseases. The meeting attracts international delegates interested in mitochondrial diseases, working in molecular genetics, biochemistry, pathology, and clinical medicine. Now in its 17th year, Bio€quity Europe is a major industry event for financial dealmakers looking for investor-validated life science companies and for pharmaceutical licensing professionals to assess top prospects. Bio€quity Europe has showcased more than 700 leading European companies to thousands of investment and pharma business development professionals. Delegates from over 20 nations attended the event last year. The EMBO Conference brings together leading experts from different scientific disciplines to discuss new findings and future challenges in cancer research. The aim of this edition is to share new insights in our understanding of cancer and discuss how these insights provide new strategies for the development and improvement of diagnostic tools and cancer treatment.